Fit 4 Two: Running with strollers. Safe or Not? 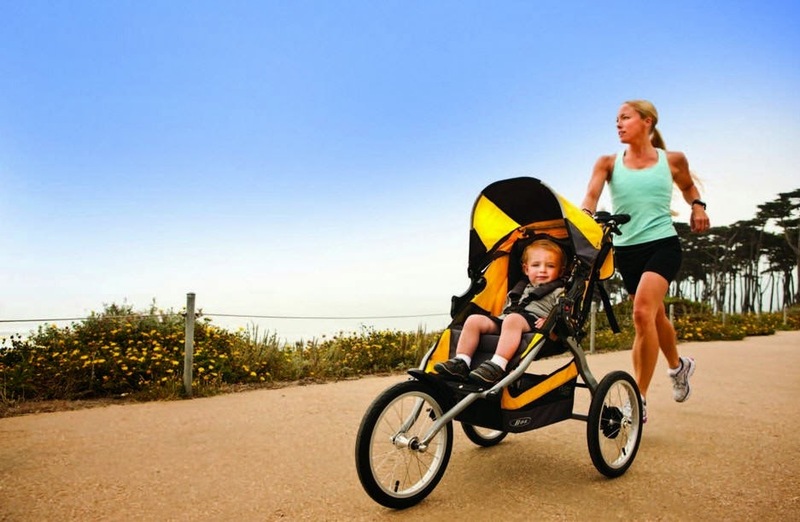 For many, a jogging stroller seems like the ideal way to get back in shape after having a baby. Once the stroller is paid for, running is an accessible, no or low cost exercise option. What many parents-to-be don’t realize is that it might be quite some time before baby is old enough to come along for the ride. When is it safe to run with baby in the stroller? Organizations like Healthy Families BC recommend waiting until baby is at least one year old because “Infants have weak neck muscles and cannot handle the impact of jogging or jostling on bumpy trails.” Safe Kids Canada states that “Jogging strollers should not be used until children are at least one year old. Children need good head and neck control to support a bike helmet and handle the movement and bouncing involved in the ride. It is recommended that a child in a jogging stroller wear a helmet as it will provide protection if the stroller was to tip over or collide with another hard obstacle. 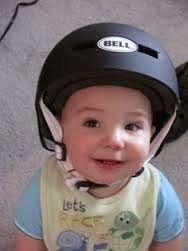 There are no helmets available for children under one year.” Stroller manufacturers vary in their recommendations. What should you tell you clients? That’s up to you. At Fit 4 Two we promote informed choice. We give them the facts and allow them to make their own informed choices. Just like your clients have the right to make an informed choice, so do you. At Fit 4 Two, because we are responsible for everyone’s safety during class, we ask moms not to run with their strollers in our programs. We design our classes in such a way that this is very rarely an issue. At the same time, we do not pass judgment for what moms choose to do outside of class. How do you teach a solid stroller fitness class without stroller running? You can design an awesome stroller fitness class without stroller running. It just takes some planning. We find that intervals of stroller power walking, cardio drills and strength training work really well. When teaching your cardio drills, always show a low impact option first so that moms who are not ready to run/not wearing a supportive sports bra can still get in a good workout. Share and find stroller fitness teaching ideas here. Not all moms have jogging strollers. If that is a pre-requisite for your classes you are going to lose potential participants. Focus instead on designing classes that offer progressions and options so that everyone, regardless of fitness level, is being challenged appropriately.